Just this week, in the midst of summer, I was sorting through my photos on my phone, collecting my favorites from recent travels. (We traveled to Oregon for the wedding of the daughter of my best friend from college; we had a great time sightseeing and hiking.) I was delighted to see not just these vacation photos, but many fun photos from the last days of the school year...and I find myself smiling in memory. Rain didn't stop us from heading outside to play on this day. But the showstopper was this repair truck - the children were riveted, studying every move. 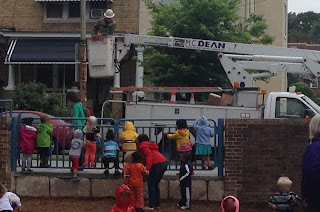 Children call us to be present, so curious about the world, finding joy in their surroundings. Our traditional "splash day" was also an overcast, rainy day...and our location was the crumbled surrounds of a community center behind our school (scheduled to be renovated and revamped this next year!). 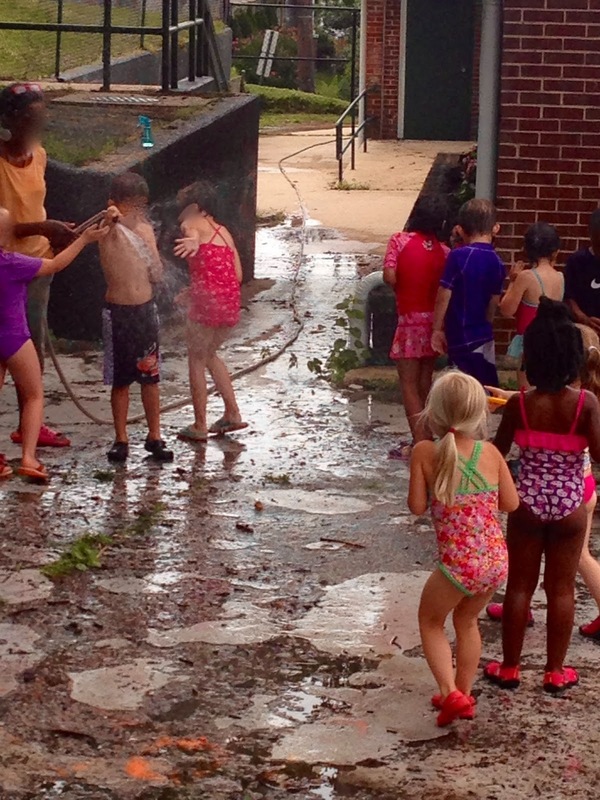 But that didn't stop the children from having such a great time outside, enjoying the hoses, buckets, spray bottles, sidewalk chalk, and more. 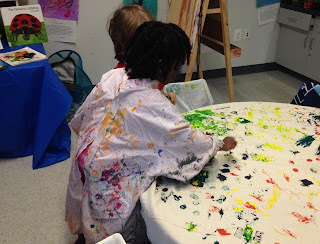 We created a process art tablecloth/dropcloth for our Teaching Resident (Ms. Kim) as an end-of-year gift. 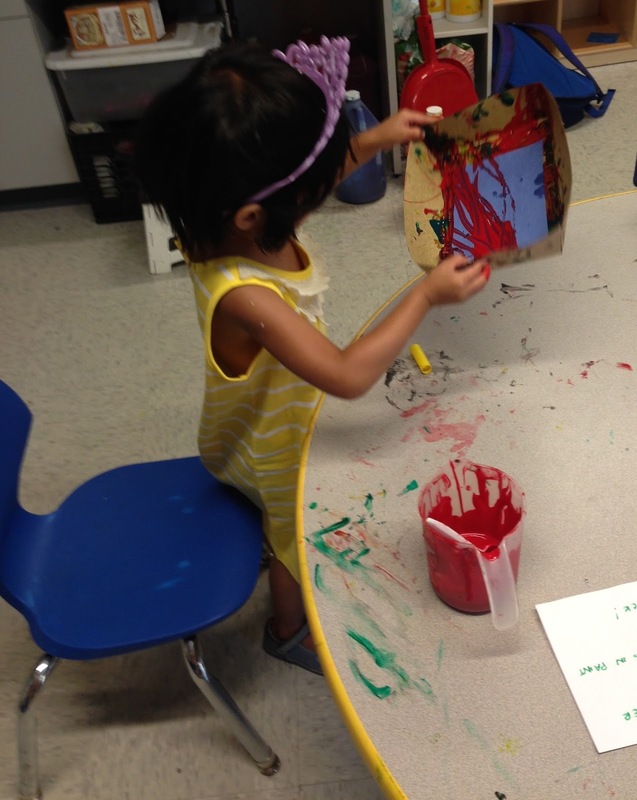 The children used found objects and nature items to stamp prints all over the canvas, choosing their favorite colors. 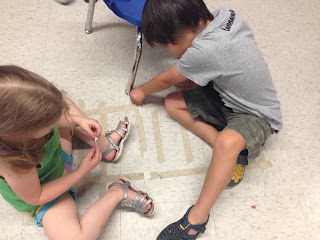 They also used fabric markers to sign their name on the cloth. We're hoping that Ms. Kim will use this cloth for 'messy' activities in her new classroom, and remember this sweet class of preschoolers every time she does. The first art activity the children experienced in the Big Cats was doing marble art on a nametag. At the beginning of the year, this was a teacher-led and supervised project. Here, at the end of the year, the children ran the project themselves - selecting paper, paint colors, dropping marbles into the paint, and rolling these onto paper. Everyone had a grand time and even enjoyed cleaning the table and supplies at the end. I got to marvel at how much everyone had grown during this year. 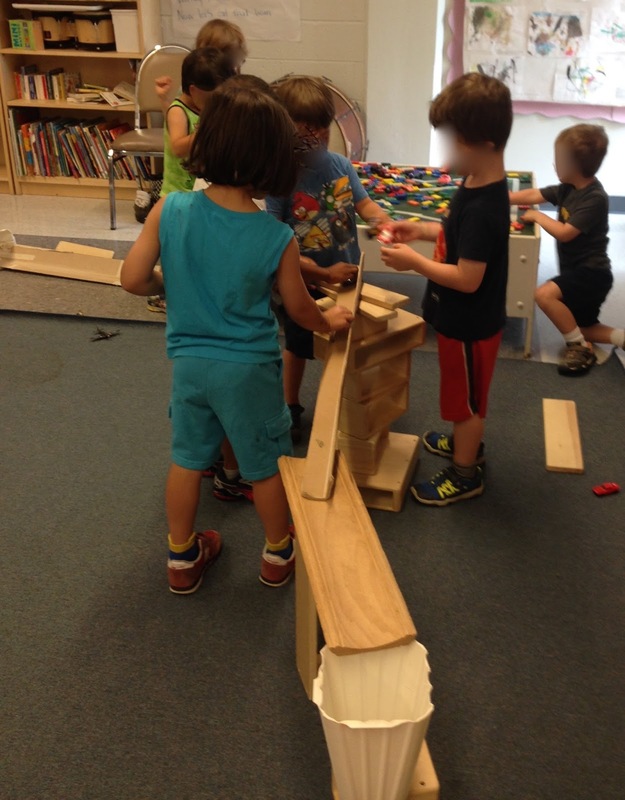 There was incessant creativity in the block corner these last few weeks of school, as if the children were well aware that they would no longer have access to these open-ended building materials. I was amazed by the teamwork, how well the preschoolers worked together, sharing the materials and ideas. This was our favorite book to read - with individual pages about each child and family, created by the families themselves. Here, the children are helping me to stuff these pages into their portfolios, so that the pages are returned home at the end of the year. But, these boys are transfixed - not wanting to take the pages out of the book but seeking to re-read the pages about each other, noticing who's who. 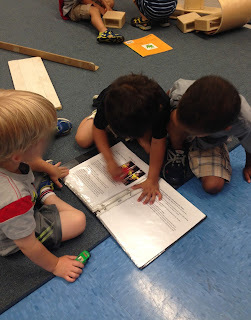 It is amazing how much we learn about one another during a school year. We had a "free for all" with the recyclables, with me issuing an open invitation for children to create and invent with abandon. We had created a train track out of tape on part of our classroom floor and the children worked diligently and tirelessly to remove it, to help Mr. Thomas (our Building Manager). 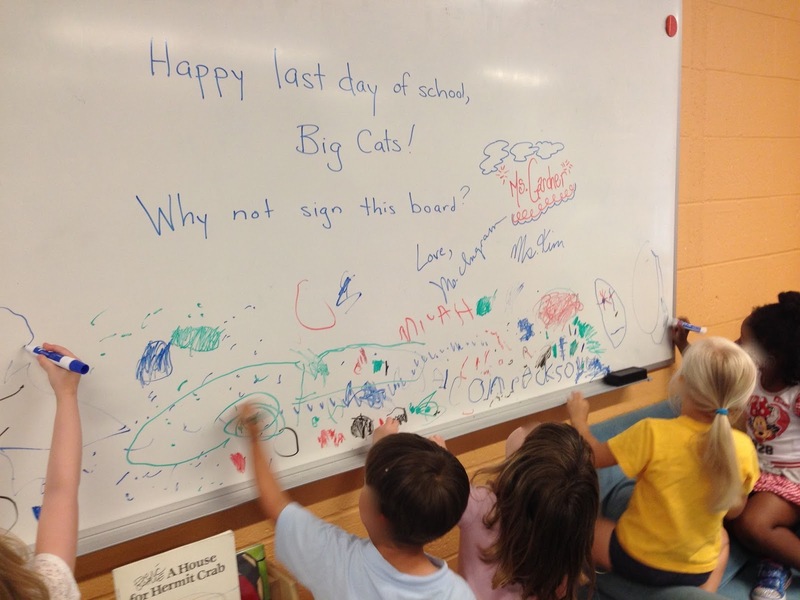 Again, I am awed by the focus and tenacity of young children when they desire to accomplish something. I think we had the hottest and sunniest day of the school year for our traditional field day - but that didn't stop these preschoolers from running non-stop. 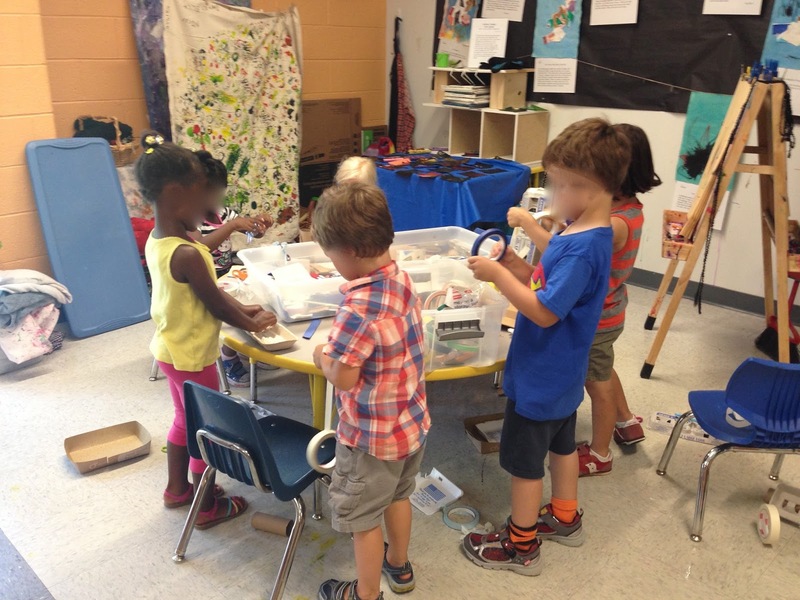 They had helped us clean the room and put away all the toys, supplies, materials. Now it was time to practice their writing skills one more time, using the whiteboard markers. 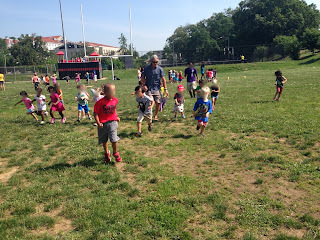 I really enjoyed this past year of teaching...I worked with a delightful group of preschoolers and their families, I had a strong teaching team, I love the physical space of my classroom in our new and permanent school building. It is fun to go down memory lane in the midst of summer! in fact, it is radically different. Summer provides me time for reflection and creativity. I'm daring to share some poetry that arose from my personal research and reflection about the four young black girls who were killed in a churching bombing by klansmen in Birmingham, Alabama in the 1960s. 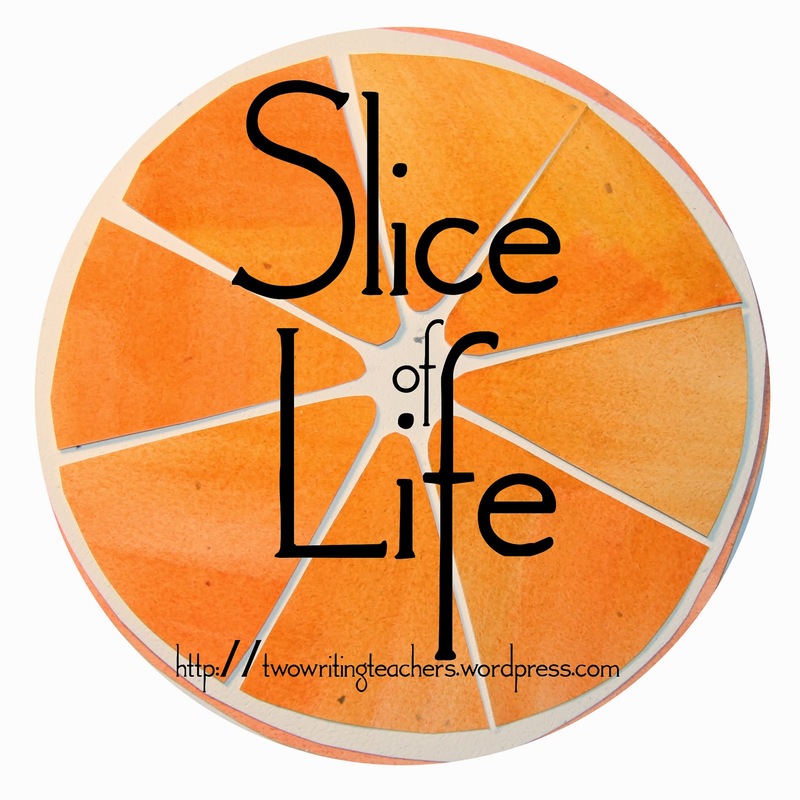 "I am just slowly awakening to the privilege of my own life experiences." Until recently, I knew very little or nothing about these four young girls. What can I learn about their hopes and dreams? How did their loved ones recover? Did they recover? Why don't I know more? Were they invisible to me because they are black and I am white? Was I taught about them and I forgot? Or was I never taught? I don't have answers to all these questions yet, and I have many more questions the more I learn. These poems grew out of my reading/research about this horrific crime. with only Jesus’ face missing. Addie Mae, Denise, Carole, and Cynthia. a new school year just beginning. imagining, dreaming, hoping, and seeking. Imagining love, hope, and peace? solving conflicts amongst her seven siblings. wanted to be a pediatrician. thoughtful, reflective, a good friend. What did they want to know more about? What were their favorite books? What did they like to do when they got home from school? What did they think about as they went to sleep at night? How were they hoping to change the world?